According to GlobalData’s UK Regional Wealth Markets Analytics, London doesn’t top the list of the wealthiest spots in the UK – at least in aggregate terms. In fact, it ranks second to the South East of England in terms of HNW population and liquid assets. The region is counted as the most populous in the UK, as well as having the largest economy outside the capital. With its good transport connections (Gatwick Airport being Britain’s second-busiest) and pleasant countryside, it is no wonder that the South East attracts many wealthy people. In recent history, London and the Home Counties have played a comparatively greater role in the country’s economy. However, with Brexit negotiations looming, some forecast that London will lose its attractiveness to HNW individuals globally. Again, in this respect the South East seems to mirror the capital – the region has also proved to be quite popular among expats. In fact, according to the latest ONS figures, its population has the highest percentage of expats in Britain (barring London). The South East also attracts university students and high-caliber professionals from around the world, thanks to the top-class universities of Cambridge and Oxford. Gatwick international flights, the numerous ferries to France, and not least the Eurostar, have encouraged modern, mobile HNW individuals to settle in the region. 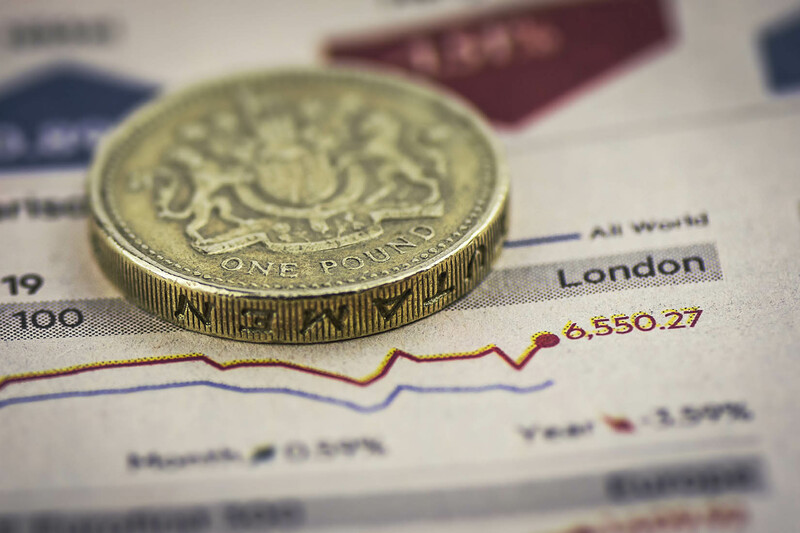 UK-based wealth managers concerned about the effects of Brexit on London may find a suitable alternative in the South East. Although expat investors might be put-off by the end of freedom of movement, the region may prove to be more resilient as it relies considerably less than London on the expat client base. According to our forecasts, its attractiveness to local businesses will endure. 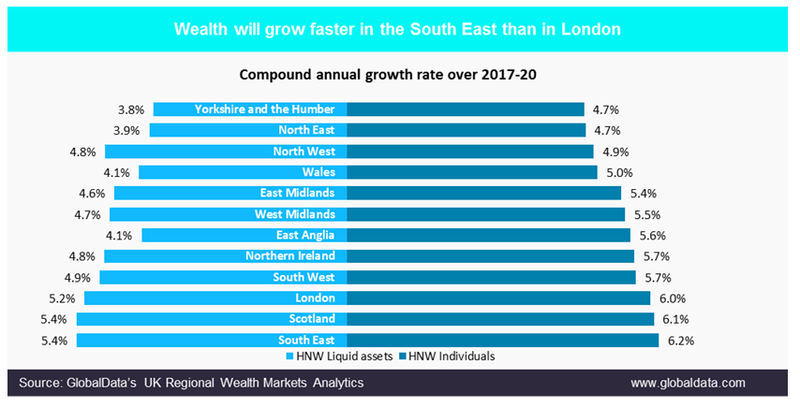 HNW individuals in the South East, as well as their liquid assets, are expected to register the highest growth over the next five years. Brexit will see London competing to retain its crown as a European (and international) economic center. It will also put UK wealth firms to the test. Only those that can adapt to the changing environment and secure new domestic markets will survive. To get in touch please contact pr@globaldata.com. Have something to say on this topic? Join our LinkedIn group: Wealth Insights.